“There are 43 drivers on the race track each Sunday and there is no delineation between Chase participants and non-Chase participants when it comes to respect. “Everyone at Michael Waltrip Racing is working hard to deliver great results to our owners, employees and sponsors. All organizations have a lot at stake each week as we are all measured by our performance and finishing position. When David Reutimann’s chance to compete for a win at Kansas was taken away, it set off a series of events that have been well documented. 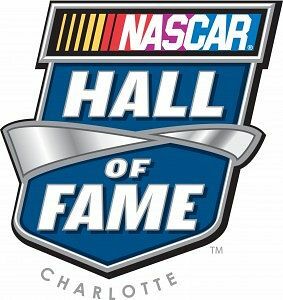 Next week, those with much more say than I have will make their selections to determine the next five members that will be inducted in NASCAR's Hall of Fame in May 2011. Since I have no vote in the "official" process, I decided to get a jump and tell you what my own five-member class would be. Bobby Allison - A native of Miami, Allison uprooted to Hueytown, Ala., and became the leader of the heralded "Alabama Gang." He scored 84 career wins in what is know called the Sprint Cup series, tying him for third on the all-time win list. He won 57 poles, three Daytona 500s and the 1983 Cup championship. Red Byron - All the focus these days in NASCAR is on the Cup champion and Byron was NASCAR's first, becoming the then-Grand National stock car racing’s first points champion in 1949. He also won the first NASCAR-sanctioned race on Feb. 15, 1948 in a Dodge prepared by Red Vogt. Byron won the Modified championship in 1948 after winning 11 races and finishing second five times. David Pearson - Pearson won three Cup championships and 105 races, ranking him second on the all-time list. He is the all-time leading pole winner on superspeedways with 64, including at least one every year from 1963 to 1982. He won a record 11 consecutive poles at Charlotte Motor Speedway. His best Cup season came in 1968 when he won 16 races and finished in the top five 36 times in 48 starts. Darrell Waltrip - One of nine drivers to win three or more Cup championships (1981-82, ’85), Waltrip won 84 times in 809 starts. He is tied with Bobby Allison for third place on the all-time win list. He was named one of NASCAR’s 50 Greatest Drivers as part of the sport's 50th anniversary celebration and is now a TV commentator for Fox Sports. Cale Yarborough - Yarborough was the first driver to capture three successive Cup championships (1976-78). He retired in 1988 with 83 race wins, 198 poles and more than $5 million in winnings. Among his 50 superspeedway victories were five Southern 500s and four Daytona 500s. He drove legendary owners the Wood Brothers, Harry Ranier and Junior Johnson. That's my Class of 2011. What's yours?